You want to organize a truly original outing in Paris? Embark on a pontoon-boat, a boat that allows comfort and space to accommodate public of all ages and meet all your wishes. Marvel at the magic of Paris the time of a romantic cruise. 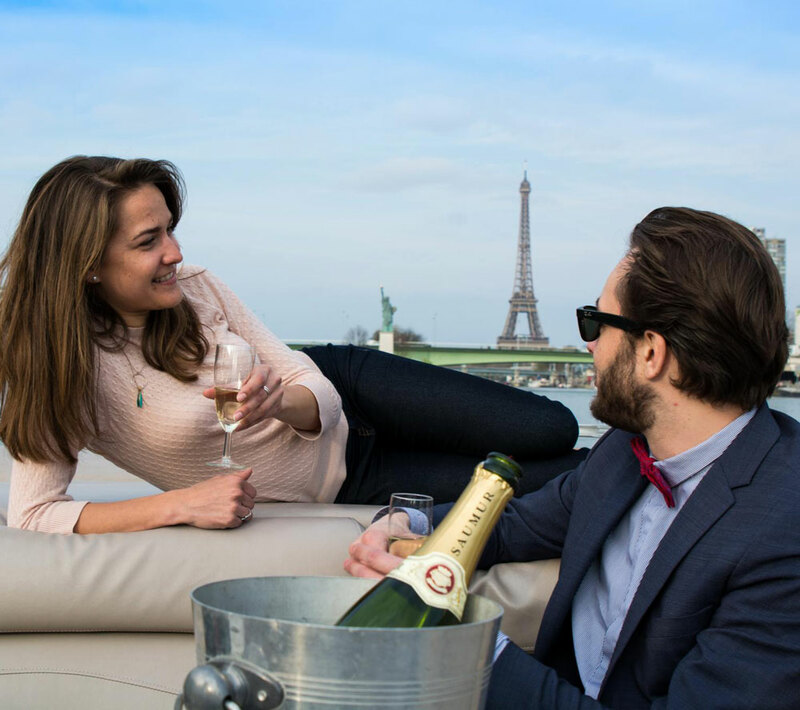 My Paris River offers you to surprise your love with a sumptuous and personalized one-to-one moment that will etch in your memories. 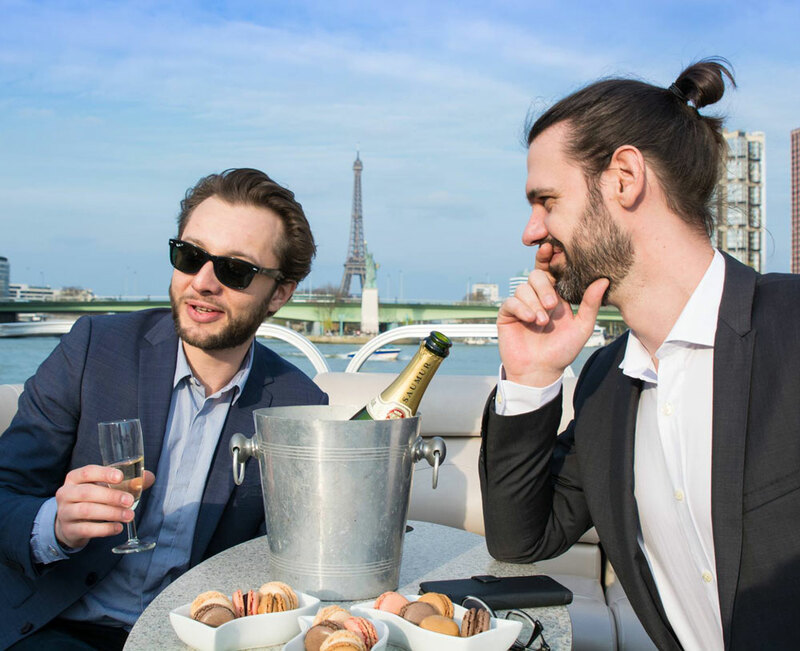 We booked the boat for two for my wife’s birthday and we could bring our aperitif on board. It was like paradise. Many thanks to the team for the serious and quality service provided. ● Imaging professionals for a photo shooting, a filming from the Seine in the heart of the French capital. My Paris River provides you with a boat ! We were warmly welcomed on board. Punctual meeting. 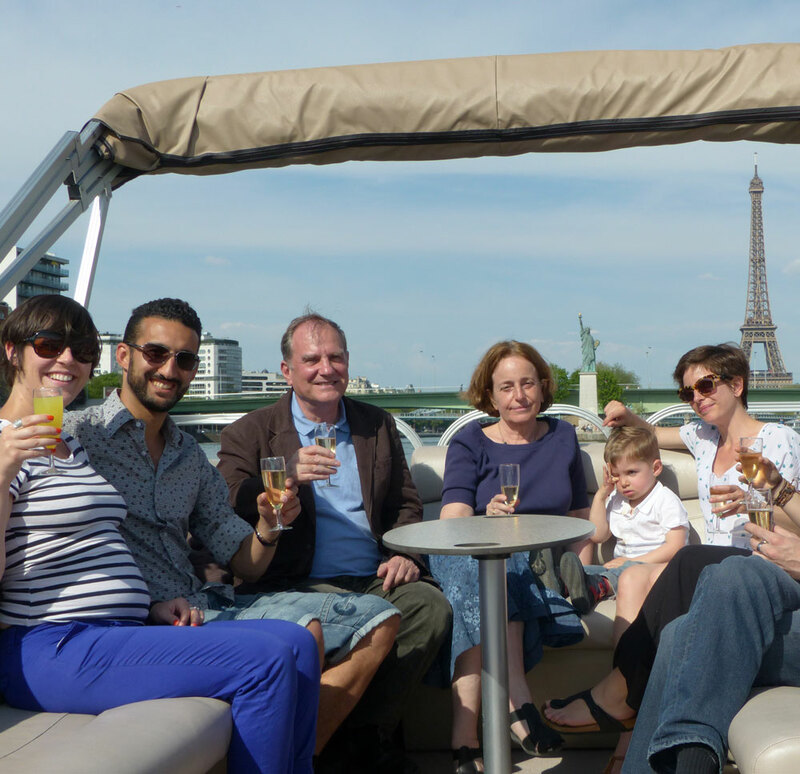 Awesome trip on the Seine on a small private boat with a very friendly skipper. He knew how to interest us with captivating stories all along the cruise. Many thanks for this great moment.